Have a release or a photo you or your group would like to share? Let us know by emailing it to info@worcester.ma. Be sure to include a link to the full release on your site or Facebook page so we can include it and send Sun members your way. 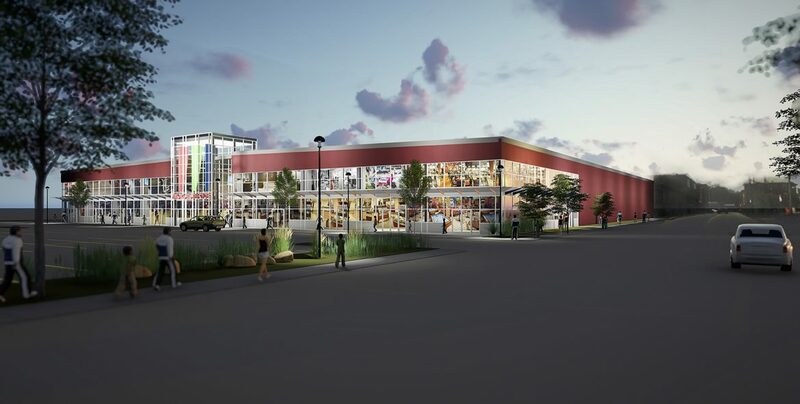 Worcester Sports Center, expected to be built and open by August 2017 on Harding Street in Worcester, has signed Worcester Academy as an anchor high school tenant, managing partner Cliff Rucker said. Worcester Academy’s long-term commitment will provide the school with permanent locker rooms for both teams in the center, while allowing its teams to practice daily and play home games minutes from campus. Five-time Tour de France winner Bernard Hinault of France, will be in Worcester Wednesday and Thursday [Oct. 12-13] for a charity bicycle ride and related events. Nicknamed “The Badger,” Hinault famously battled Greg LeMond when they were on the same team in the 1980s. LeMond won the Tour in 1986, answering Hinault’s attacks. Note that famed anti-doping advocate LeMond also beat Hinault to Worcester and the Major Taylor statue, appearing here in May 2008 as keynote speaker at the statue dedication. Tom Swenson, representing the Major Taylor Association board of directors, will present a Major Taylor cycling jersey to Hinault in recognition of the ties between the cycling legends at a welcome presentation at the Major Taylor Statue outside the Worcester Public Library at 3 p.m. Wednesday. The 60K bike ride starts at 9 a.m. Thursday at Bikes and Life, 1067 Main St., followed by a catered party at the store Thursday evening. Cost is $25 at the door. 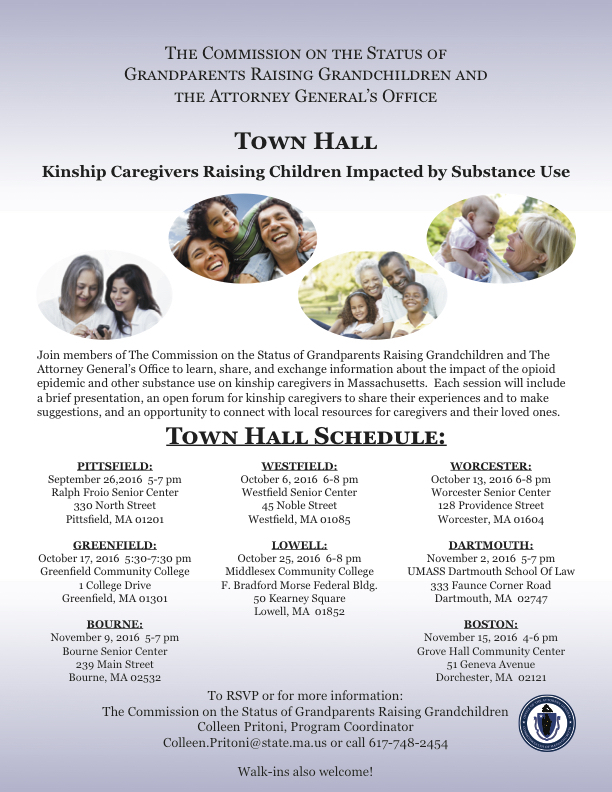 The Commission on the Status of Grandparents Raising Grandchildren and the state Attorney General’s Office will hold a town hall focused on kinship caregivers raising children impacted by substance use. The event will take place from 6-8 p.m. Thursday, Oct. 13, at the Worcester Senior Center, 128 Providence St. Participants will learn, share and exchange information about the impact of the opioid epidemic and other substance use on kinship caregivers. It includes a brief presentation, an open forum for kinship caregivers to share their experiences and to make suggestions, and an opportunity to connect with local resources for caregivers and their loved ones. Clark University will host “Obama, Syria, and the Transformation of U.S. Policy in the Middle East,” a lecture by political scientist Steven Heydemann, at 5 p.m. Monday, Oct. 17 in Room 320 of the Jefferson Academic Center. This lecture is part of the Harrington Public Affairs Lecture Series and is free and open to the public. 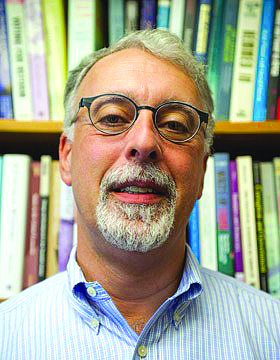 Heydemann is professor and Janet W. Ketcham 1953 chairman of Middle East Studies at Smith College, and a nonresident senior fellow in the Center for Middle East Policy of the Brookings Institution. He will discuss U.S. policy in the Middle East and the Syrian refugee crisis. Between 2007 and 2015, Professor Heydemann held a number of leadership positions at the U.S. Institute of Peace, in Washington, D.C. During his lecture, he will reflect on his experience as director of the USIP’s Syria program, in which he managed “The Day After” project, a Syrian-led effort to plan for a post-Assad transition. Professor Heydemann also provided technical expertise in support of the creation of a Syrian-led NGO The Day After Association, which works to support the principles and aims of The Day After project in Syria. He remains an adviser to the Board of the NGO, which is shorthand for a non-governmental organization. Professor Heydemann specializes in comparative politics and the political economy of the Middle East, with a particular focus on Syria. His interests include authoritarian governance, economic development, social policy, political and economic reform, and civil society. He consults widely with the U.S. and European governments on issues relating to Syria policy and the status of the Syrian conflict. He also writes regularly on Syria for major media outlets, and has appeared as a Syria expert on leading television networks including the BBC, Al-Arabiyya, Al-Jazeera and PBS. This lecture is sponsored by the Clark University Political Science Department through the Francis A. Harrington Public Affairs Fund and the Center for Gender, Race and Area Studies.